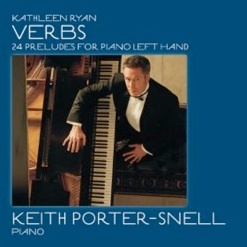 Verbs: 24 Preludes for Piano Left Hand is a fascinating collection of pieces composed by Kathleen Ryan and performed by Keith Porter-Snell. 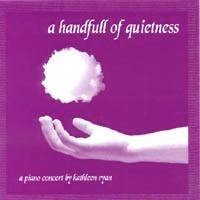 The project originated in 2006 when Porter-Snell asked Ryan to create a set of twenty-four piano preludes for left hand only, one in each key. In her search for a unifying theme, Ryan settled on the idea of verbs, one for each prelude, because a verb conveys a distinct quality of energy and motion. She then composed the first twelve preludes (Book 1) and Porter-Snell premiered them at the 2007 Professional Music Teachers of New Mexico conference. PMTNM and the MTNA commissioned Ryan to compose the second set of twelve preludes (Book 2), which was completed and premiered, again by Porter-Snell, at the 2008 PMTNM conference. 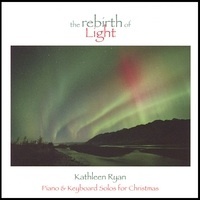 A classically-trained pianist with four excellent albums of original piano music, Ryan’s eclectic composing style contains elements of jazz, contemporary classical, traditional classical, and her own vision that includes making the piano sing. Overall, this music might be bolder and somewhat more cerebral than many of the albums I review, but if you like a bit of a challenge, I think you’ll really enjoy this music. Keith Porter-Snell is also an amazing artist. A repetitive motion injury to his right hand several years ago caused him to withdraw from his life as a professional pianist and redirect his energies to his teaching career. In the meantime, he started to focus on the repertoire for left hand alone and returned to the concert stage in 2006 as a left-handed pianist. It is hard to believe that these preludes are played with only one hand, as they are full, rich, and sound like they move all over the piano keyboard. All of the titles are one-word verbs and the preludes range in duration from 34 seconds to a little more than four minutes. Some are light and playful and some are more complex and dramatic. All are very different from each other and specific to their individual “verbs.” “Crackle” is very bright and crisp where “Weave” flows smoothly and continuously. “Drift” has a peaceful, rubato feeling where “Play” recalls shades of Vince Guaraldi. “Accuse” is very dark and unhappy while “Forgive” conveys tenderness and calm. “Push” is dramatic and intense and sounds like fun to play. “Bloom” reminds me of time-lapse photography of opening flowers - graceful and beautiful. “Insist” is bold and very confident, almost demanding, but “Murmur” is hushed and withdrawn. “Shatter,” the longest of the preludes, seems to refer more to a personal shattering than a broken vase or window. It expresses deep and complex emotions in a very powerful way where “Bounce” is playful and carefree. “Release” is flowing and free and “Bless” ends the album in more meditative style. 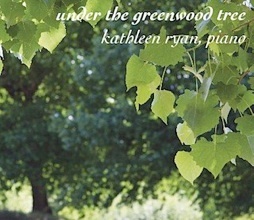 Bravo to Kathleen Ryan and Keith Porter-Snell for creating a truly one-of-a-kind project! Verbs is available from Amazon, iTunes, and CD Baby. Recommended for listeners with a sense of adventure! For more info about this album, visit www.verbspreludes.com.